RRMM Architects is excited to announce that they have been selected, along with AECOM, Franck & Lohsen Architects, and HG Design Studio, as the designers for Longwood University’s new convocation and events center, The Joan Perry Brock Center. President W. Taylor Reveley IV of Longwood University announced on Wednesday their plans to build the new on-campus convocation and events center. This multi-purpose venue will be designed to host a variety of events, including Longwood’s Division I basketball program, concerts, public speakers, and university convocation and graduation. This highly-anticipated project will create necessary space where the student body can come together. It will also benefit the Town of Farmville and the surrounding region by attracting high-profile speakers and performers to the area. Longwood University has previously enjoyed being the stage for notable events, such as the 2016 Vice Presidential Debate. This new convocation center will be an important addition for the University as they continue to gain national recognition, providing them with future hosting opportunities for similar events. 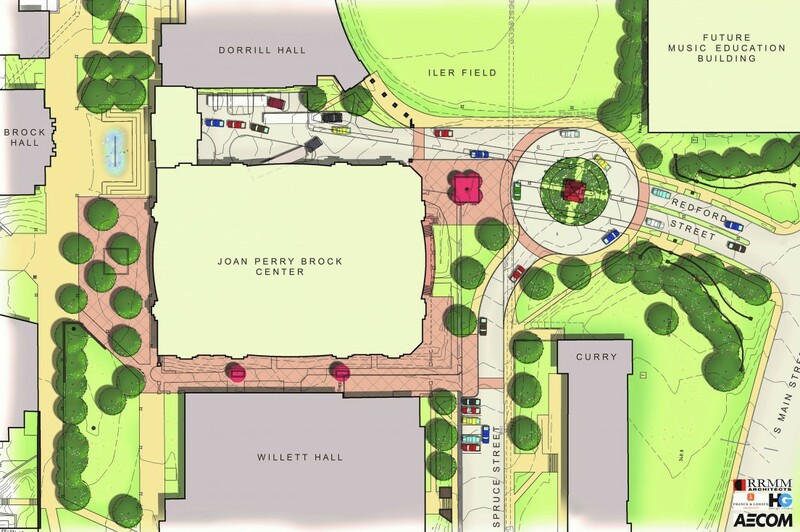 The Joan Perry Brock Center will be located in the heart of campus, adjacent to Willett Hall, and will be designed to embody Longwood’s traditional architectural style. Construction is projected to be completed by Spring 2022. This project is possible because of Joan Brock, Class of ’64, who donated $15 million, the largest gift in Longwood’s history.